Preschoolers are like sponges eagerly awaiting to soak in new concepts and facts. Hands-on activities are the number one way that little ones make sense of new things. But, listening to great preschool books for kids enriches those experiences. Today we are exploring preschool math books. This list is a little heavy on counting books. I couldn’t help myself. There are so many neat ones. Stack the Catsby Susie Ghahremani is a playful counting book that kids will love to act out during or after reading. Counting Crocodiles by Judy Sierra is the tale of a clever monkey who is trying to get from one island to another. He’s clever counting is the perfect way to trick the crocodiles into helping. Kids will practice counting to ten and back. Plus, the book is full of rhyme to build literacy skills too. Jan Thomas is one of my favorite writers for super silly and highly engaging books for preschoolers. Is That Wise, Pig? will have the kids laughing and counting up to ten. Ten Black Dotsby Donald Crews is a classic counting book and it can also extend into an art activity. Counting forward and backward book is The Deep, Deep Puddle by Mary Jessie Parker. My preschoolers adore this book. It’s very silly and fun. So, Countablock by Christopher Franceschelli is just a cool book. I’m a fan of his Alphablock and Cityblock. The numbers are bold and it can be used for counting too. It counts to 10 and then switches to counting by tens up to 100. Kids will love to see if each animal can be paired with an item in One Big Pair of Underwearby Laura Gehl. The classic The Three Little Bears by Paul Galdone also works for one to one correspondence. Ducks Away! by Mem Fox works for one to one correspondence, counting, and basic addition sentences. A perfect spring read. The Best Bug Parade by Stuart Murphy uses bugs to talk about measuring. Kids will enjoy lining up different things to measure after reading. Peg + Cat The Lemonade Problem by Jennifer Oxley and Billy Arnonson is full of math concepts but it works well for preschoolers to compare numbers. The Long and Short of It by Cheryl Nathan compares the length of things such as tongues and tails. Quack and Count by Keith Baker introduces a little addition practice as we watch a little group of ducklings moving around. I have not met a preschooler yet who doesn’t love Pete the Cat. In Pete the Cat and His Four Groovy Buttons by Eric Litwin children are introduced to very basic subtraction that begs for you to pull out buttons to use as manipulatives to solve basic subtraction sentences. Preschoolers who love dinosaurs will enjoy Ten Terrible Dinosaurs by Paul Strickland. You can use the book for counting backward from 10 or create subtraction sentences as you read. Ten in the Bed by Penny Dale is another one to use for counting backward or creating subtraction sentences as you read. Plus, it’s a fun one to sing with the kids. Roseanne Thong wrote Round is a Tortilla which teaches about shapes using many items from the Latino culture. Thong also has Red Round is a Moon Cake. Mouse Shapes by Ellen Stoll Walsh works on shapes and colors. Check out the Mouse Shapes name activity we created to compliment the book. Shapes, Shapes, Shapes by Tana Hoban contains photographs of objects all around us. It’s a good one for encouraging kids to look around and find objects that are different shapes around them. Get kids up and moving with this sing-along book about shapes called The Shape Song Swingalong by Steve Songs. A good choice for independent exploration in a math center would be Shapesby John Reiss. Do you remember digging through your grandmother’s button box? My boys sure love to dig into their grandma’s box. The Button Box by Margarette Reid is the perfect simple story to introduce sorting and classifying. It’s perfect for pairing with a tub of buttons for the kids to explore. Sam Sorts by Marthe Jocelyn follows Sam as he straightens up all the stuff in his room. What do you do when an object can be placed in more than one group? A Pair of Socks by Stuart Murphy begs you to bring in a basket of socks for the kids to sort and match. Is it Larger? Is it Smaller? by Tona Hoban uses the power of her photography to take kids on a visual journey of comparing the sizes of different objects. It’s a great book to add to a math center and let kids explore on their own. The photographs in National Geographic books are always great. This simple board book called National Geographic Kids Look and Learn: Patterns! will be a visual treat for preschoolers exploring patterns in their environment. Help kids discover and make patterns in A-B-A-B-A A Book of Pattern Play by Brian Cleary. Patterns can be created with shapes, colors, sizes, and more. In Rosie’s Walk by Pat Hutchins, we follow the hen as she takes a stroll and is followed by a hungry fox. The short story is full of positional words. Rocket’s 100th Day of School by Tad Hills is an easy reader, but preschoolers will enjoy seeing Rocket and talking about the 100th day of school. For 10 more books about the number 100 check out this list from Childhood 101. Build math concepts with this engaging preschool math books. 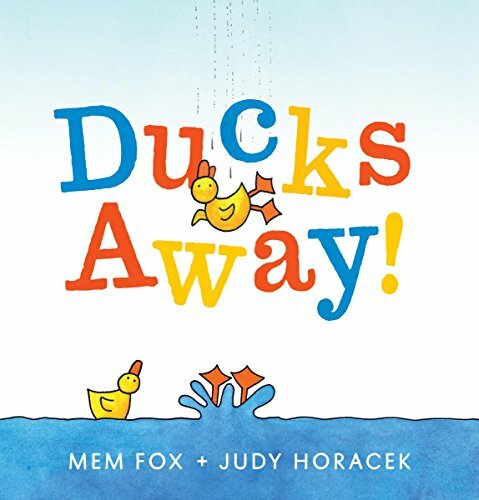 And for more great preschool book lists, check out these favorites.